Dr. Olga Malkin is a prosthodontist. She is a dental specialist in advanced restorative and implant dentistry. Dr. Malkin received her dental degree from the University of Pittsburgh before continuing on to her 3-year post-doctorate education in Prosthodontics at the West Los Angeles (UCLA affiliated) VA Hospital. She was trained in surgical implant placement as part of her post-doctorate training. Dr. Malkin’s post-graduate specialty training in comprehensive advanced restorative dentistry enables her to treat complex restorative cases including full mouth cosmetic rehabilitation, implant restorations, and denture conversion as well as implant restorations in one appointment. From general dentistry and thin porcelain veneers to full-mouth restorations, Dr. Malkin is able to care for all your dental needs. Her concentration and comprehensive approach to patients’ oral health allows her to coordinate complex treatments where multiple dental specialists are involved. Dr. Malkin is a fellow of International Congress of Oral Implantologists (IOCI) who has taught part-time at UCLA. 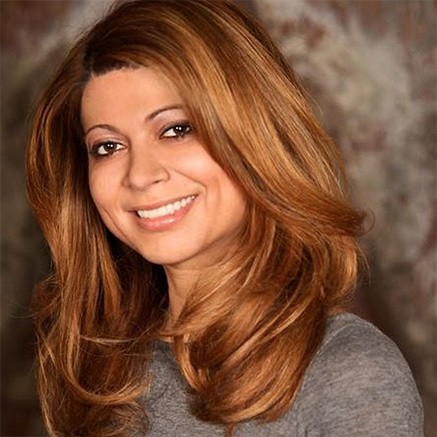 She has published in peer-reviewed Inside Dentistry medical journal and gave lectures at NYU, NJ Dental Society, California county Dental Society on topics of implant dentistry, including Teeth-in-a-day and All-on-4 implant treatment concept. She is a member of North America Advisory Council of Nobel Biocare, a leading dental implant manufacturer. She will be a speaker at Nobel Biocare 2016 Global Symposium in New York on a topic of All-on-4 implant treatment concept. Dr. Malkin was featured on NBC news and THE DOCTORS show on CBS while performing a smile rejuvenation procedure that utilizes dental implants and all porcelain crowns/veneers. She is a member of American College of Prosthodontics and American Academy of Laser Dentistry. Her article about all-on-4 procedure has been recently published in prestigious peer-reviewed “Inside Dentistry” magazine. She has lectured on advanced dental restorative topics to other dentists at NJ Dental Society, NYU, and Orange County Dental Society. Dr. Malkin stays current with the latest developments in dentistry by attending continuing education courses and conferences. She is certified to perform procedures using a soft tissue laser.